In a bid to ensure a speedy passage for the women’s reservation bill (WRB) in Parliament and legislative assemblies, Centre for Social Research (CSR), New Delhi, will galvanise 3,000 panchayat heads across the 29 states of India. The WRB was developed in order to facilitate women’s political participation by reserving 33 percent of all seats for women in the Lok Sabha and state legislative assemblies. Several panchayat heads across India have extended their support to the WRB informally in the past. However, now they are being reached out through a systematic campaign, wherein these heads will be encouraged to educate their communities about the benefits of women in politics at the national and state level, said a CSR press release. “The idea is to convert the women’s reservation bill into people’s demand rather than a political one. The past 21 years of our struggle has taught us that the bill tends to get lost in the corridors of power, and its actual benefits are hardly discussed or understood both by common people and decision makers. We need to change that trend if we have to make headway on this bill,” says Dr Ranjana Kumari, director, CSR. 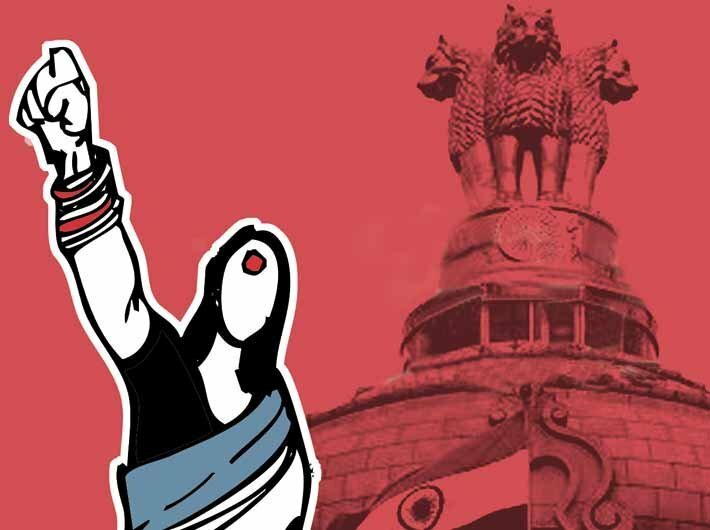 The recent assembly elections in five states show that the number of women entrants in the state legislative assemblies still remains dismal. Out of 2,979 candidates in all the states, there were just 234 women in fray. Studies show that the global average of women in parliament stands at 22.40%, and India stands at pitiable 103rd place out of 140 countries, with a mere 12% representation of elected women in Parliament and an average of 9% of female representation in state assemblies. The 21-year-journey of the WRB has hit roadblocks in each of its outings in Parliament before it cleared the first legislative barrier in 2010. According to media reports, a number of parliamentarians over the years have opposed the passing of the bill, leaving it in its current state. However, the current BJP government had included an assurance for the passage of the bill in its election manifesto, holding out to women a promise that their democratic right to adequate presence in the highest decision making bodies would be recognised.